So, you wanna be a freelance writer! Congrats and how exciting. For most people, writing is their passion and if you can make money with your passion, well, people start getting jealous! And your life becomes so much better too! So, you’ve decided to get started and to help you become totally successful in this business, I want to share some tools to help you. You need more than your laptop and some notebooks for your writing process. I wish it was that easy, but it isn’t if you want to succeed online. 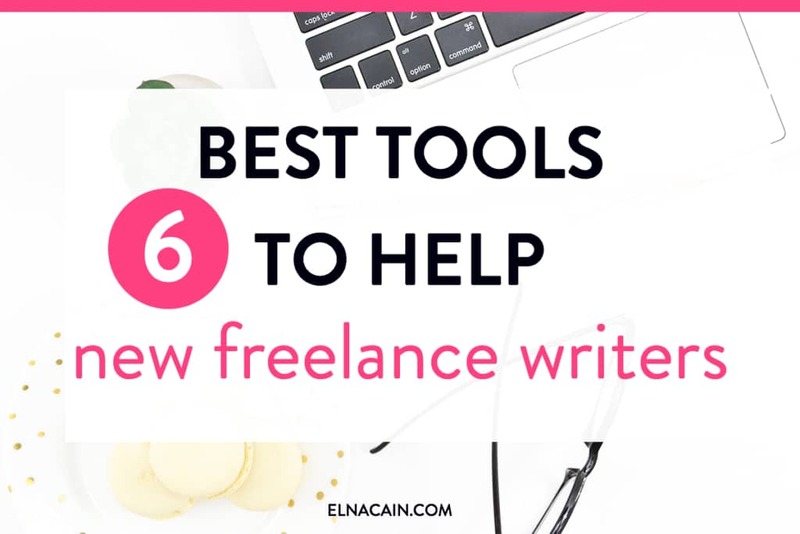 Let’s look at the six important tools you need to start freelance writing and land some clients. If you want to get paid to write online, you need a website! Hands down the #1 tool you need to succeed. But, it’s not just any website – it’s a service-based website. This is a website dedicated to freelance writing. I have one. It’s Innovative Ink and it’s served me well over the years. A professional website can help you land high-paying freelance writing jobs. It shows your credibility in this fields and it just looks good. This is probably one of your first investment for your business and it should be. You can get started for less than $100, which is pretty cheap when you think about what your parents had to do to start a business way back when. 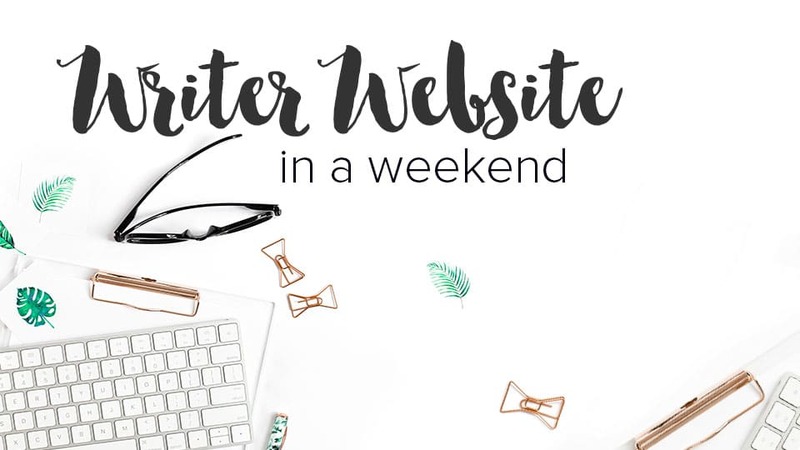 If you are clueless about how to start a professional website, check out my course, Writer Website in a Weekend. I walk you step-by-step on everything you need to get your website up and running to attract clients. One of the questions I get a lot from new writers is whether or not they need an editing tool. I say yes! You do. 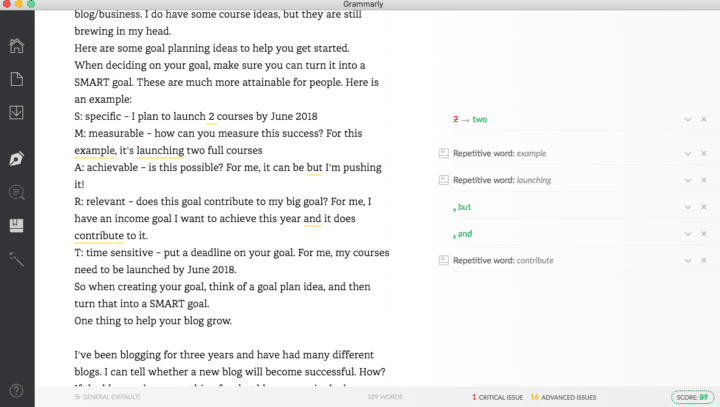 My editing process is laid out in Write Your Way to Your First $1k and one of the first steps is to run your writing piece through an editing app. I use the desktop version of Grammarly for my client pieces and even my blog posts and emails. I like that it shows my grammar errors and then tells me why as well as gives me some suggestions of correct ways. The Chrome Extension for Grammarly is also handy when you’re online. When paid annually, it’s only $11/month, which is a great saving and a need for your business. Contena is a freelance job board that curates jobs from all over online. 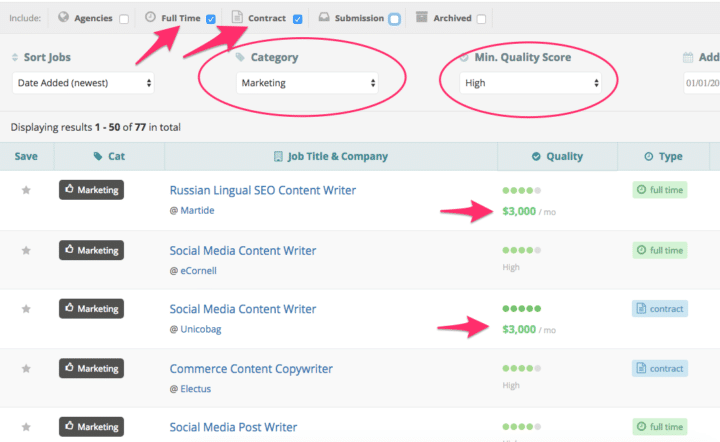 What I like about Contena is that it’s the quickest way to find a freelance writing job. I don’t have a lot of time in a day. Right now both my twins have fevers and are sick. I have client posts and blog posts all day! Yikes! 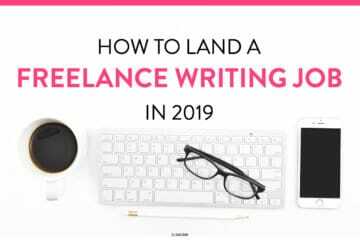 If I need to find a freelance writing job fast, I just hop into Contena and filter my results to only ones in my freelance writing niche topic (for me it’s marketing). As you can see, the jobs are high-paying and great quality. Contena can easily pay for itself after one or two jobs on this platform. While this can be a big investment for you, in the long run, if you find quality leads it’s well worth it. If you think Contena is for you, you can use my special discount code: elna10 and get 10% off any option. If you pay in full you get 20% off plus your coupon will stack on top of that! PicMonkey is an image editing tool for your graphics. Some clients ask you for a feature graphic or you can offer that service for them if you know how to edit images. PickMonkey makes it super easy to do that. You can sign up for a free 7 day trial to see if this is for you. What I like PicMonkey over other image editing tools is their font library and their layer application. First, you pick a template after you sign up. From here you can add a free stock photo and add a title for your client’s post. ConvertKit is an email service provider for bloggers. I feel that freelance writers should have an email list to help them find more clients or network with other freelance writers. When I started my email list for Elna Cain I promoted it for other freelance writers. I wanted to connect with other writers. 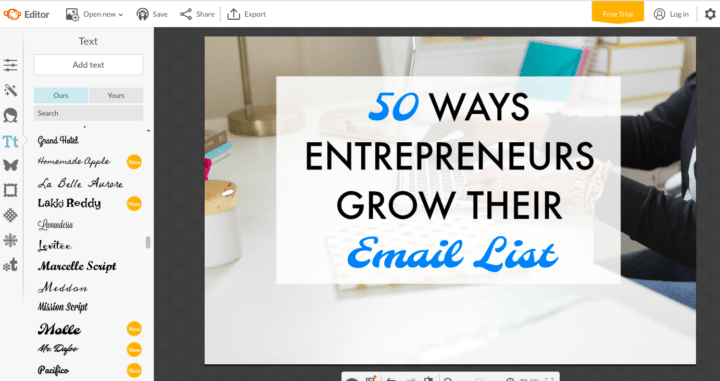 If you eventually want to monetize your blog then an email is a must! ConvertKit is super easy to use and it’s made for bloggers. You can create multiple incentives to grow your email list quickly and create free courses, a welcome series or sales funnel. If you are interested in starting ConvertKit, you can use my special link and get 30 days for free! That’s one month! You can do a lot during that time! Google Drive is a free storage system that synchronizes all their tools together. While clients may have a preference on what you submit to them, a lot of them don’t. Lately, I’ve been using more Google Docs to write my client’s posts. I can share my draft or outline easily with them and get immediate feedback on my process. If you are brand new to freelance writing, these tools can help you get started. Do you need all these tools right away? Some you do. I feel having a website, a Grammar tool and Google drive important for your biz in the beginning. The other tools can be used once you try to find clients. Tell me in the comments your favorite tool for your freelance writing business! Love your stuff. I am working through the “writeto1ksuccess” modules so I guess you know how far I am with posting with my cool new gravatar. Thanks Jacob! Your Gravatar’s working perfectly pretty soon you’ll be pitching and hopefully landing some gigs! Can I give you a hug? I’m sorry you feel overwhelmed. I think take it one day at a time and focus on one guru than a whole bunch of voices. Make a list and set action tips! Good luck! Thanks Elna! You have gathered some pretty awesome tools here. I have always wanted to know where to go for high quality stock photos. It is also good to know that I am not inadvertently using something copyrighted. My list would have to list you as an invaluable resource! I follow your tips & recommendations & on more than 1 occasion your blog posts have saved me tons of time. Seems you have written something about every challenge or question I’ve had as a baby blogger. You are my go to resource when I hit a wall or need an answer. Thank you so much. And I apologize I never responded to you on Facebook! Feel free to email me now that you are a course student. I’m glad you are taking action and doing it! The Contena job board looks promising. I will try it out now. 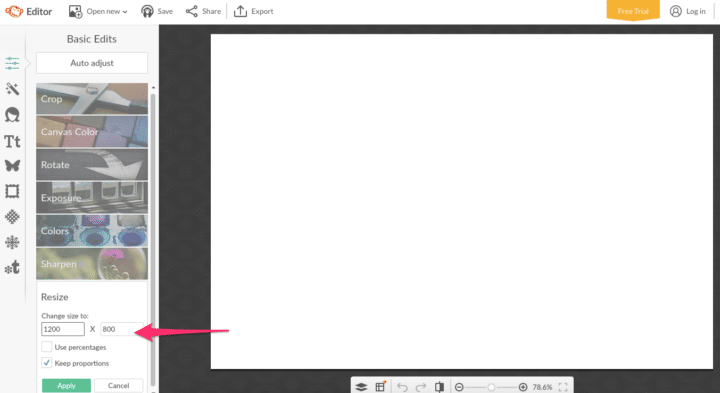 Also, there is a free alternative for PicMonkey, known as Ipiccy. I use it for editing images and it works like a charm. Thanks for letting me know! Have fun with creating images! Hey! That’s great! Lovin PicMonkey!!! Thanks so much! Glad you finished Max’s book!! Nice!! Thanks, Elna. These tools are very useful for new writers, but even experienced freelancers could benefit from giving some of them a try. You always offer great advice! Thank so much! Yes, I think they are essential to running a freelance writing business! I received your email and I’m so very grateful for this. I really want to start freelance writing this year but I have a problem building email lists. 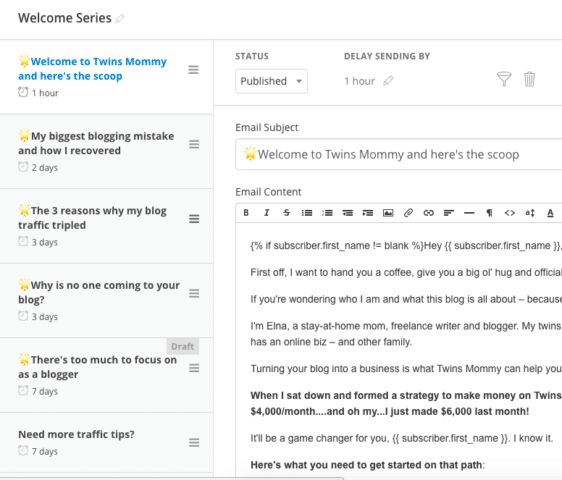 Go over to my other blog, Twins Mommy and read this post: https://twinsmommy.com/mommy-bloggers-grow-email-list/ it should help! Get well soon , Elna! What’s your opinion about MailChimp? This is all so very helpful! Half of these tools I knew about, the other half I had no clue! Thank you for the insight! I’m so excited to get started the right way! That’s awesome! I’m glad you didn’t know all the tools and found some value! *Gush* Thanks so much for coming over to my little blog! Yes, I need to get back to commenting and networking also! Happy New Year! That’s awesome and enjoy Contena!